On this week's episode of The Throw-In, Will Slattery is joined by Conor McKeon of The Herald and Donnchadh Boyle of the Irish Independent to discuss all the weekend's action. 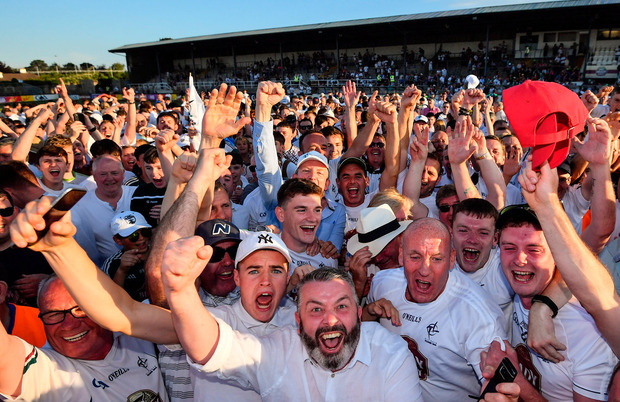 The lads start with the cracker in Newbridge as Kildare dumped Mayo out of the All-Ireland championship after a week of controversy over where the game will be played. The Lilywhites finally showed some backbone but for Mayo, it is a question now of whether this team is at the end of the line. Conor and Donnchadh discuss whether the All-Ireland window has now closed for the much-admired side, with some of their key men possibly retiring after their latest defeat. Elsewhere, the lads look ahead to the Round 4 qualifiers and the Super 8s, and discuss whether it is fair that Dublin will play two games at Croke Park in the new structure. In hurling, Cork claimed their second straight Munster title - but do the Rebels get the respect they deserve? Cork are now eight games unbeaten in their province and won this year's Munster title with a new manager, but now face a lengthy four-week break until the All-Ireland semi-final. Will the long layoff prove costly for Cork? It could prove to be a very damaging defeat for Clare after they squandered an eight-point lead late in the first half, and with a possible game against Davy Fitzgerald and Wexford to come, they could be left waiting another year for a return to Croke Park. In Leinster, Kilkenny and Galway played out a tight draw at Croke Park, and the lads think that both sides will benefit from next weekend's replay.